8592 is a classic recipe and first produced in Menghai Tea Factory in 1985, it also be known by "Tian" cake because of the tea once was produced for Hong Kong Nian Tian company and marked with "Tian" character. Menghai use a new packing for this ripe Pu-erh cake. 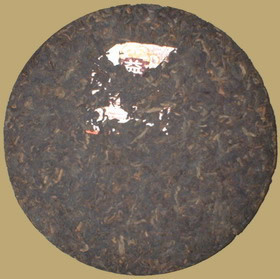 A good ccandidate for Menghai Dayi Pu-erh at reasonable price in 2007.